When managing material for seasonal projects, it makes all the difference to work with professionals who can deliver secure job site storage containers to your location. Sometimes called conex boxes, Border States job site storage containers are ground-level, eliminating steps and providing access to materials with forklift-accessible roll-up doors. How much of your crew’s time is spent away from the job site getting material? 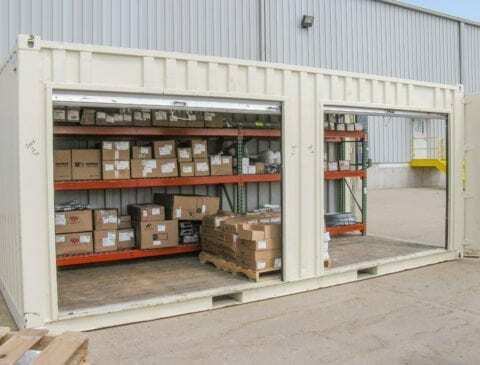 The professionals at Border States deliver job site storage containers as an extension of your warehouse so you always have supplies close by. Additionally, reliable replenishment increases crew productivity. Your workers can focus on the job rather than ordering and tracking down inventory. Materials are organized, and your crews save valuable time by not having to search for items in a cramped and disorganized pod. Additionally, product mix can be updated as job phases change, reducing the amount of inventory, obsolete materials, loss and damage. Efficient, organized material handling for sites with limited space. Reduced reconciliation time at the end of the project by having the right inventory throughout the project. No need to receive and check in material as it arrives on the job site. Heightened security because containers are less mobile than portable storage solutions. 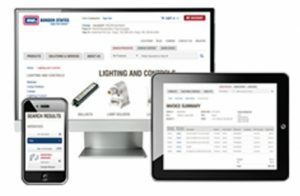 Streamline the ordering, stocking and management of your materials – wherever the job takes you. 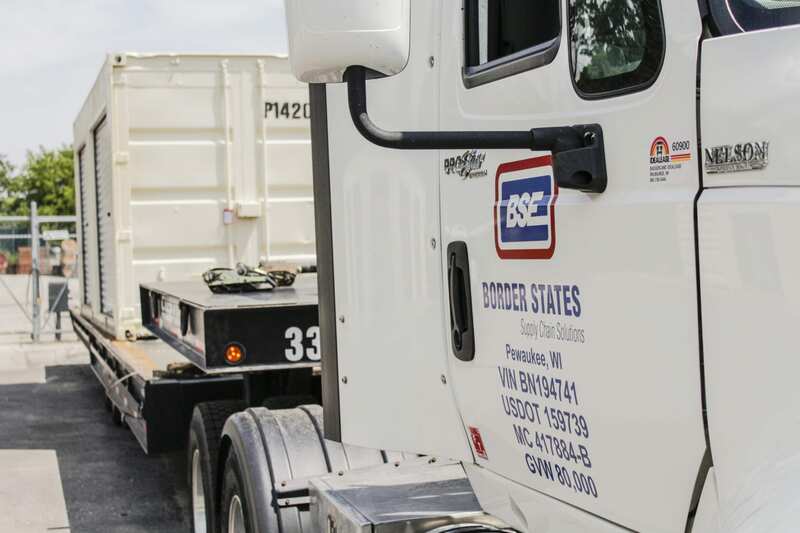 For more information on job site storage containers, contact a Border States Account Manager near you.